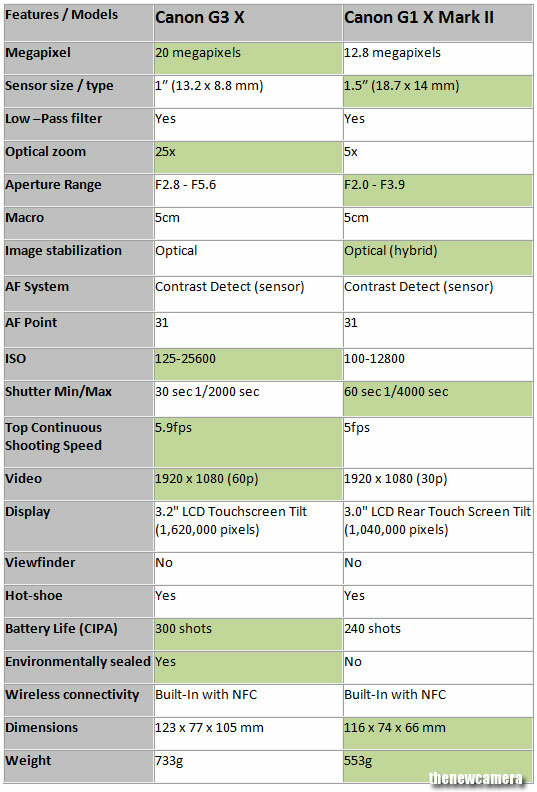 A High ISO test recently done by french website Focus Numerique, If you look at the image below you will surely see that Sony RX100 M3 showing more details at 100% compared to large sensor cameras, a quick info about the sensor specification – Sony RX100 M3 features 20.1MP 1″ Exmor R BSI CMOS Sensor, Canon G1X Mark II have newly developed 12.8MP High-Sensitivity 1.5″ CMOS Sensor, Ricoh GR have 16.2MP APS-C Format CMOS Sensor and finally GM1 have 16MP M4/3 format Digital Live MOS Sensor. 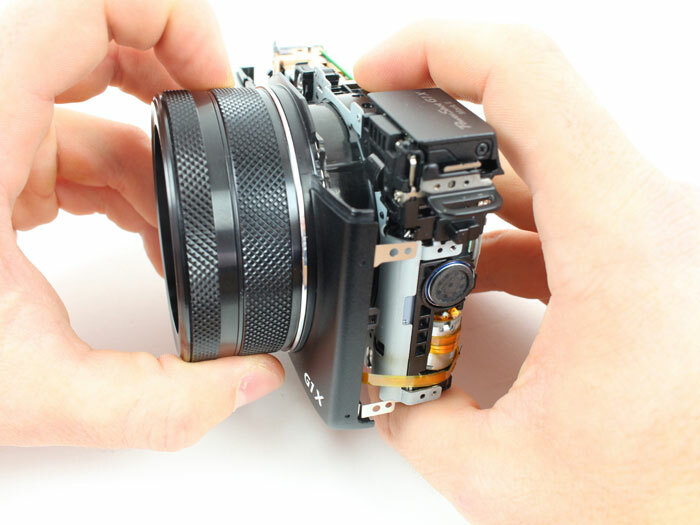 We already discussed the benefit of larger sensor, now lets talk about the lens. The Canon offers more optical zoom lens (2x more) compared to Sony RX100 M3 but Sony offers better aperture range compared to Canon. Bright lenses delivers bit more light to the sensor. Zoom + Macro mode: Canon offers more zoom lens + better macro mode compared to Sony RX100 M3. Hybrid Image Stabilization: Both camera features Hybrid Image stabilization modes, Canon G1X Mark II offers IS for wide range of movements >> Panning IS, Macro (Hybrid), Dynamic IS mode (video work) and final Powered IS for tele zoom, we are bit un-confimred but Sony RX100 M3 also features 5 axis based IS system, no more details available. Shutter Range: Canon G1X Mark II have bit broad shutter range compared to RX100 M3. Top Continuous shooting speed: Sony features 2X more continuous shooting speed (10 fps) than Canon G1X Mark II, hence for sports-shooter we recommend RX100 M3 camera. Video: Sony RX100 M3 shoot Full HD videos 60fps and able to record it at high-quality XAVC S format, which uses a Long GOP (Group of Pictures) structure, MPEG-4 AVC/H.264 video compression is also available., and other major feature is linear PCM audio compression option available in RX100 M3 camera. Canon G1X Mark II records Full HD videos @ 30fps in the Internet-friendly MP4 format. Display: Canon G1X Mark II have 3.0″ 1,040k-dot capacitive touchscreen LCD display unit, that moves on multiple direction on the other hand RX100 M3 have 3.0″ 1229k-Dot Multi-Angle Xtra Fine LCD. Viewfinder: Sony RX100 M3 features advance 1440k-Dot OLED Tru-Finder Pop-Up EVF with eye sensor, no viewfinder present in Canon GX Mark II. Ease of use: Sony RX100 M3 is very pocket-table camera and easily fits in your tight jeans without any problem, the Canon G1X Mark II need a jacket pocket. Price Factor: Both camera available at approx same price tag – $799 (MSRP), no major difference here. Connectivity: Both camera features WiFi and NFC connectivity. Verdict: Yes Canon will give you better image quality due to its larger sensor + you get bit more flexibility due to the more optical zoom lens and better macro mode. But Sony gives you ultra compact design, fast continuous shooting mode and excellent video recording mode with high-quality XAVC S format recording option. if you are a travel / street photographer and need a ultra slime camera for your pocket than Sony RX100 M3 is a excellent choice. The Canon G1X Mark II latest test result published over the web, the score of new G1X Mk II is lower than its predecessor Canon G1X. Canon G1X Mk II comes with new sensor, fast / bright lens and improves AF performance, but the new sensor test score turn out too bad according to DxO Mark lab… hope Canon will fix this in next Canon G1X Mark III camera.